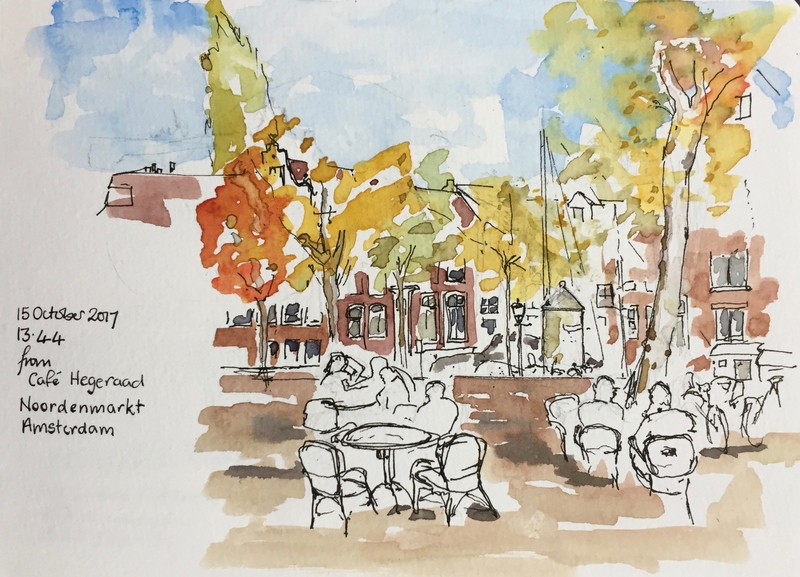 This is Noordermarkt, as seen from Café Hegeraad, in the Jordaan district of Amsterdam. It was a lovely autumn day, warm with a light breeze. I had the apple cake and a coffee. I had arrived from the overnight Stena Line ferry, then a sequence of trains from the Hook of Holland. 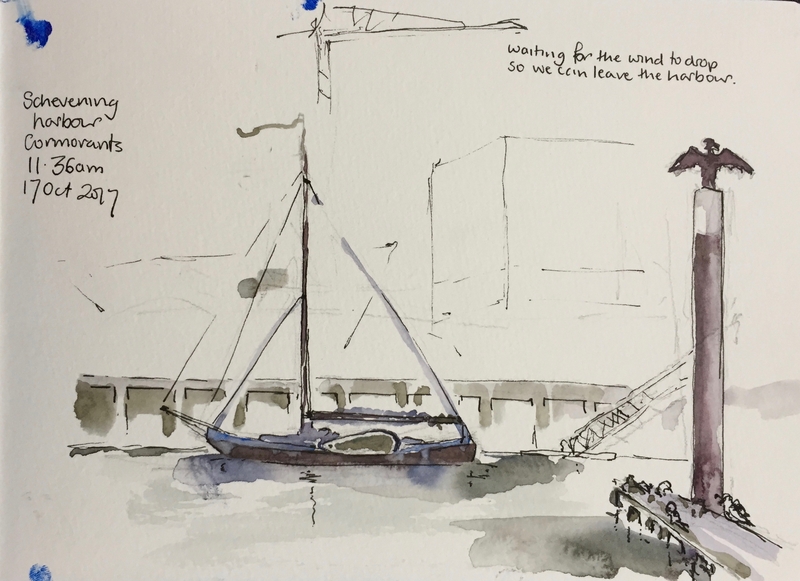 My destination was Surinamekade, to meet the boat “Lady of Avenel”. I walked through the renewed Central Station where I retrieved my bag from the luggage lockers. Here is a picture from the boat. The “Race of the Classics” had just taken place, and they were saying goodbye to the last of the participants. The captain and crew went off to an award ceremony. 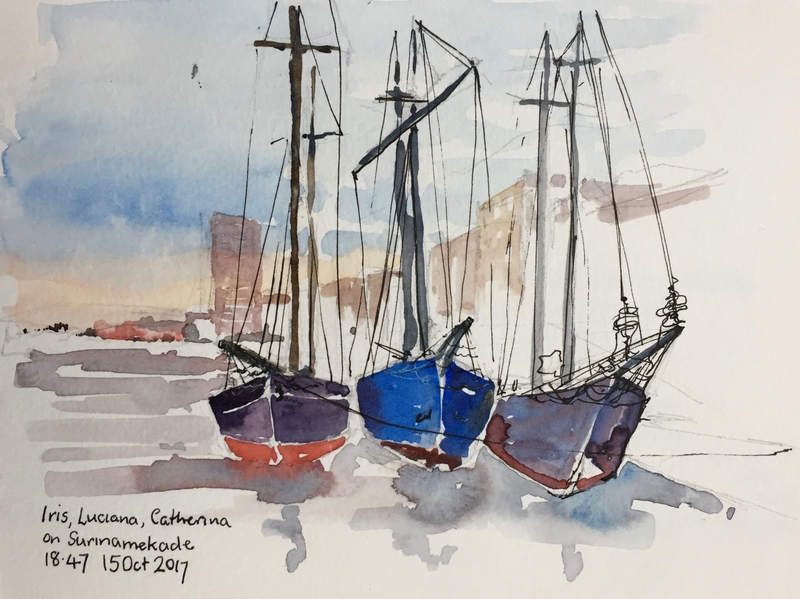 On my own on the boat I drew a picture of three of the other classic boats moored up behind us. In the morning, we set off along the “North Sea Canal”. 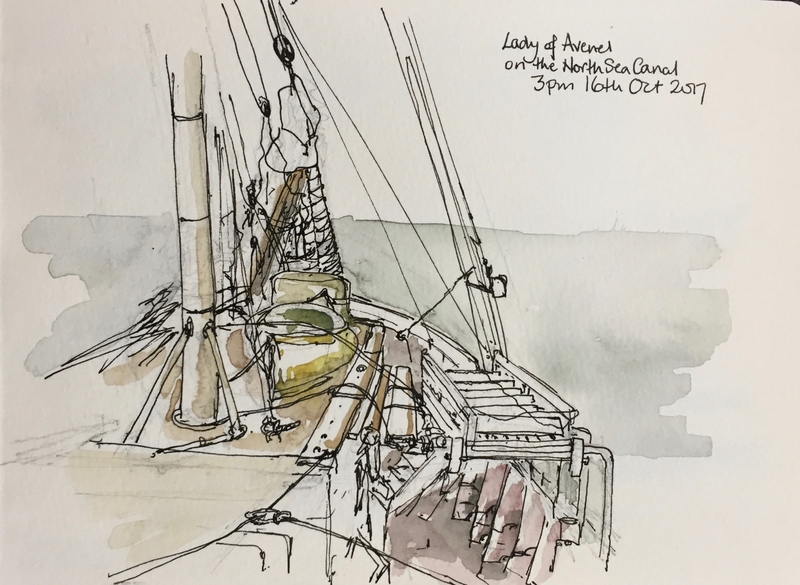 I drew a complicated picture of “Lady of Avenel” from the quarterdeck, which took a long time. 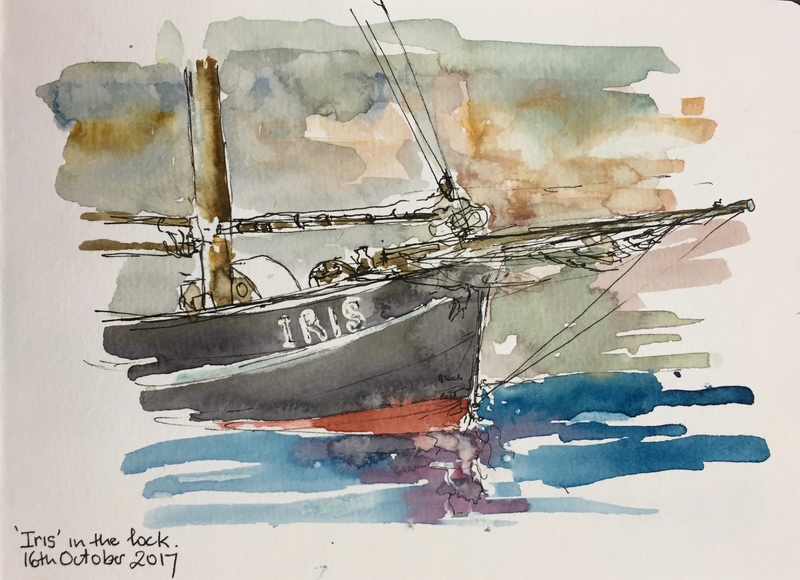 Then, in a lock, I drew a quick picture of “Iris” who followed us in. This was much more successful. There was a long wait in the morning, while the storm of the previous night departed. Then we left harbour, for the 36 hour trip across the North Sea. We were taking ‘Lady of Avenel’ to her winter mooring at Heybridge, Maldon. See the blog post on this link, for pictures of her there.